Monday & Wednesday: 7 a.m. — 5:30 p.m.
Tuesday & Thursday: 8:00 a.m. — 5:00 p.m.
Friday: 8 a.m. — 12 p.m.
Friday: 8 a.m — 4:30 p.m.
Free parking is available in our private lot. Our primary location is in Glen Carbon, near Maryville, with a satellite clinic in Highland, IL. We’ve created a warm, welcoming environment featuring natural wood and bright, relaxing treatment rooms. Our plastic surgery practice and medical spa offers a comfortable waiting area and our team ensures your needs are meet throughout the time you are with us. Our office is nestled among trees and offers a discreet location. We’re conveniently located to serve St. Louis, being only a short, 15-minute drive from downtown. 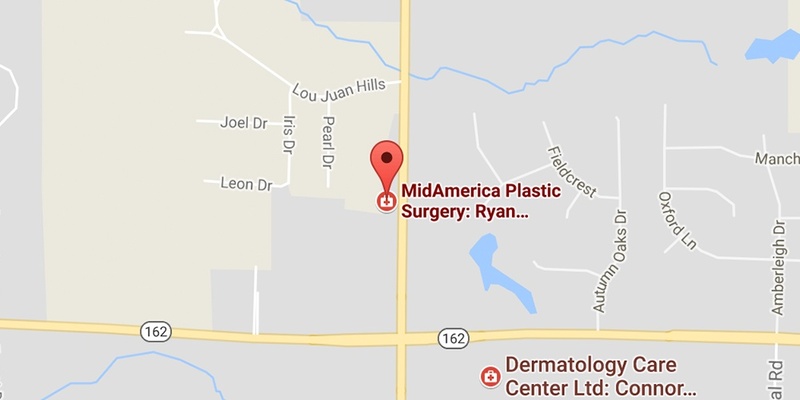 As we’ve grown, however, many of our patients travel to MidAmerica Plastic Surgery from all corners of the country. We make travel plans and accommodations as easy as possible for you by offering some helpful information about airports, restaurants, local attractions, and hotels for your convenience. 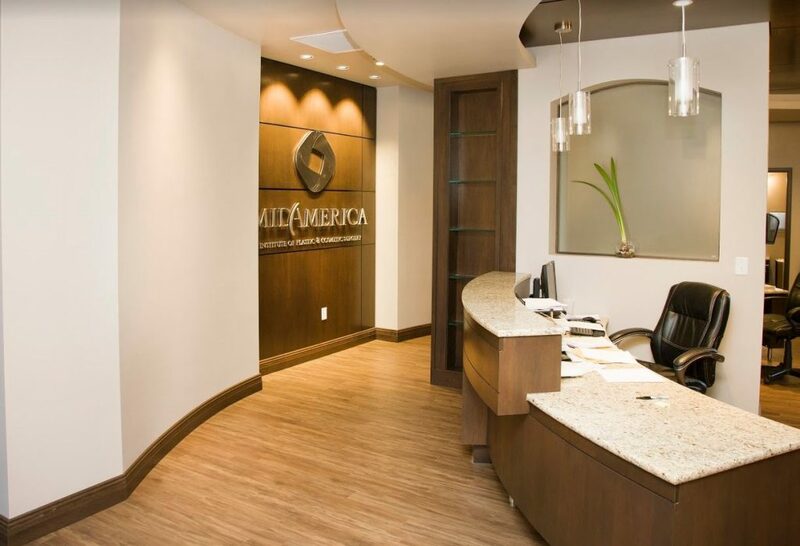 If you’re interested in concierge service for your travel to MidAmerica Plastic Surgery, our office would be happy to arrange your flights, hotels, and transfers. Please call us at (618) 288-7855 and ask for Katie, or request a consultation.